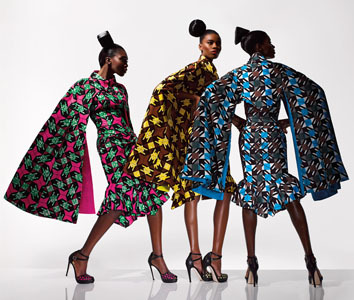 Textiles and African fabrics are always in a state of evolution, and in recent years this has increased dramatically. Today, a great number of mainstream creations are based on the countries taste, and even so far as to be crafted from the highly popular and colourful Wax print. Notable big names have been seen donning the colourful attire, and even big name designers come back to the prints time and time again. Why Choose Custom African Textiles By Empire Textiles? Choosing an outfit can be difficult even in the best of times, but when you want to select something unique for a special occasion, locating the ideal piece can be a lesson in patience. After going to all of the popular stores with well known brands attached to their offerings and still not finding the perfect gift, the best option to choose is a custom made design that will not only be timeless, but highly personal and unique. Empire Textiles offers a range of limited edition and made for ET options that you won’t find anywhere else. There are several reasons you may decide to craft custom pieces from our wide array of fabrics, and our pleasant sales representatives will work with you to choose just the right design and gift for your special occasion. A personal touch is always desired when you give an extraordinary gift such as a piece of African Textiles. Empire Textiles is able to bring smiles to the faces of the ones you love with beautiful quality fabric direct from Empire Textiles. If you want some ideas to help you design the perfect gift, we have a lot of pictures up on our blog. Voile Lace – Do you have a stunning engagement ring and want to find just the perfect fabric to match? Our immense selection ensures that you will find just the design to fit your ring perfectly, we also have special fabrics like our Georges for special milestones in your life such as your wedding anniversary. Wax Print African Textiles– If you want to truly craft something unique, consider our wax print pieces. Not only are these the traditional choice in Africa, but there is such a large selection of prints that you will always stand apart from the crowd in our timeless African Textiles. Matching Shoes and Bags – Sometimes, the perfect piece is one you already own. If you have African Textiles that you have worn for years or even several decades, but no longer matches your sense of style, consider adding some of our matching bag sets to refresh the overall look, and help you look your best. Don’t let your heirloom pieces go to waste just sitting at home, our laces and accessories will revamp your African Textiles into a brand new look that will have you falling in love with it all over again. Heirloom Overhauls– Many families pass their African Textiles down to their children, which can span many generations. While the material in heirloom pieces never goes away, in many cases, time and heavy use can affect the overall look making it almost un-wearable. At Empire Textiles you will find a lot of fabric options to compliment your existing fabric, or to fashion into a new piece, or trendy new designs to recreate the exact style afresh. This allows you to keep the family memories while also updating the piece for preservation for yet another generation. Custom Ideas– Have you ever seen African Textiles that had some elements that you like, and some that you want to change? We have a large selection of styles, colors and categories, and you are sure to find something that matches references, pictures and descriptions to help you bring your African Textiles dream to life. We offer special exclusive designs for almost every type of African Textile, you can view our galleries for ideas or just to take a look at some of the stunning wearable works of art we have on our blog. Empire Textiles of UK invites you to view our online selection, or visit our store to get started on your African Textiles design project. If you are ready to get started, or if you just want additional information give our store a call, or drop us an email today! 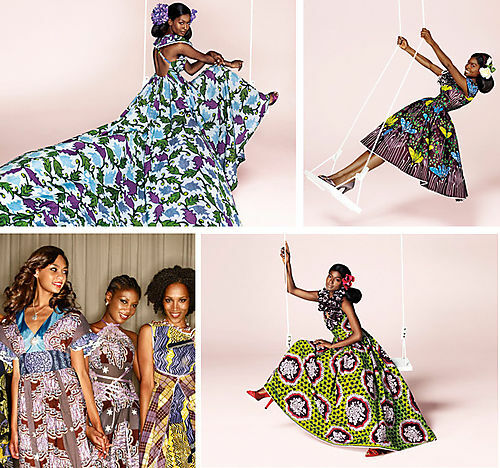 ← Love African Fabric? Want To Start A Label?